Casino Bonus Wagering Requirements - What are they? 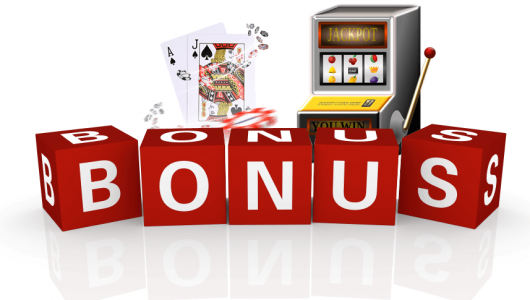 Home / Blog / Casino Bonus Wagering Requirements – What are they? Every online casino, sportsbook, poker room or bingo site offers people who sign up a welcome bonus. You’ll see these advertised across our site and on the casino sites themselves. These bonuses are given as an incentive to sign up to a casino rather than one of their competitors. They’re also great for you, the player, right? You sign up and receive free money. Well, there are a few things you need to look at before signing up to a casino and accepting the sign up bonus. Or any other bonus for that matter. One of those things is the wagering requirements of the bonus. In this article we’ll take a look at a few of the most commonly asked questions regarding casino bonuses and wagering requirements such as ‘What are wagering requirements? Why do casinos put wagering requirements on bonuses? How to clear wagering requirements and show you which casinos offer bonuses with the lowest wagering requirements. What are wagering requirements on casino bonuses? Wagering requirements are rules set by each individual online casino that tell the player how much they have to stake on games before they can withdraw the money given to them as a bonus and any winnings made from it. Wagering requirements are pretty simple but they are different at each casino and each bonus at the same casino can also have different wagering requirements. 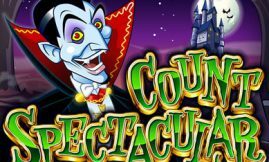 In this example we will look at the initial sign up bonus given by Slots.lv which is a 200% matched bonus up to $1,000 on your first deposit at the casino and has a wagering requirement of x35 your deposit and bonus. Lets say you deposit $100. As Slots.lv offer a 200% bonus, you receive $200 ($100 x 200%) extra on top of your $100 deposit and have a total of $300. Now, before you can withdraw the $300 and any winnings from it, you must meet the wagering requirements, which in this case is x35. To calculate how much you have to stake on games to be able to withdraw the funds simply multiply your deposit + bonus amount by 35, which is $300 x 35 = $10,500. So you would have to place $10,500 worth of bets before you can make a withdrawal. The sign up bonus at Mansion Casino is 100% on your first deposit up to a maximum of $500 and has a wagering requirement of 20 x your deposit + bonus amount. This time we will deposit $50 and so we would receive a further $50 as a bonus, totaling $100. As the bonus has a wagering requirement of x20 we multiply our $100 by 20 which means we have to place $2,000 worth of bets before withdrawing. Simple right? We all know wagering requirements are a bit of a pain but unfortunately they are necessary. If online casinos didn’t put wagering requirements on bonuses then players could simply deposit money into their account, receive the bonus and withdraw. That wouldn’t be a very good business decision by casinos would it? They wouldn’t last two minutes handing out free money to anyone that registers. That being said, casino bonuses work well for both the player and the casino. The casino gets another customer and the player gets a chance to win more money by playing with a bit of extra cash. I don’t want to have wagering requirements. Can I just play with my money? Absolutely. You don’t have to accept bonuses given by casinos. Most online casinos will require you to enter a coupon or bonus code to receive your bonus. If you don’t want to receive the bonus, simply do not enter the code and just play with your money and withdraw when you want. However, some casinos will automatically add you bonus funds to your account when you make your first deposit with them. If you don’t wish to receive any bonus it would be best to contact the customer support team and let them know this. They should then be able to cancel any bonus that you are due to receive. As mentioned earlier, wagering requirements may differ with each casino and each bonus. The wagering requirements for each bonus can always be found by reading the terms and conditions of each bonus. If it is a sign up bonus or a long-running promotion then the T&C’s can usually be found by visiting the ‘promotions’ page of each casino. If you have received an email or text from a casino offering you an exclusive bonus or reload bonus then there should be a link to the terms and conditions if the wagering requirements have not been mentioned already. If in doubt, always contact customer support. The majority of online casinos allow you to chat to customer support through live chat windows and can answer you questions right away. How do I meet the wagering requirements of a casino bonus? You can meet the wagering requirements of your bonus by playing casino games at the casino. Lets say your wagering requirement for a bonus is $1,000. You must place $1,000 worth of bets to ‘clear your bonus’. It doesn’t matter if you place 1,000 separate $1 bets or one bet of $1,000, so long as your bets total $1,000 before making a withdrawal. It is very important to be aware that some casino games may contribute towards your wagering requirements more than others. Again, this will be explained in the terms and conditions of the bonus and this rule does not always apply to all bonuses. That is why it is important to always read through the T&C’s of a bonus before accepting it. In the T&C’s of a bonus it may state that online slots contribute 100% towards your wagering requirements, where as roulette only contributes 50% towards it. This means that if your wagering requirement of a bonus is $1,000 and you play slots, then you only have to wager $1,000 to clear your bonus. However, if you just play roulette then you will have to wager $2,000. What is the best way to meet casino bonus wagering requirements? Before deciding on a method to meet your bonuses wagering requirements you must read the terms and conditions and find out if all games contribute equally towards it. If they don’t then the best way to clear your bonus would be to play the games with the highest contribution. This is usually all variants of online slots. However, if all games do contribute equally then slots may not be the best game choice. Given that all games contribute equally towards clearing you bonus you should be playing the casino games with the lowest house edges. Meaning you should play the games where you have the highest chance of winning. These games are blackjack, jacks or better, baccarat and craps. For more information on which games to play take a look at our article on how to clear casino bonuses.